To honor Julia Child’s 100th birthday, a simple quote from Julia to accompany today’s wordless Wednesday image. "You don't have to cook fancy or complicated masterpieces -- just good food from fresh ingredients." Cabbage is one of those good foods! P.S. It’s important to pick your veggies before the heavy rains or you’ll end up with split produce. 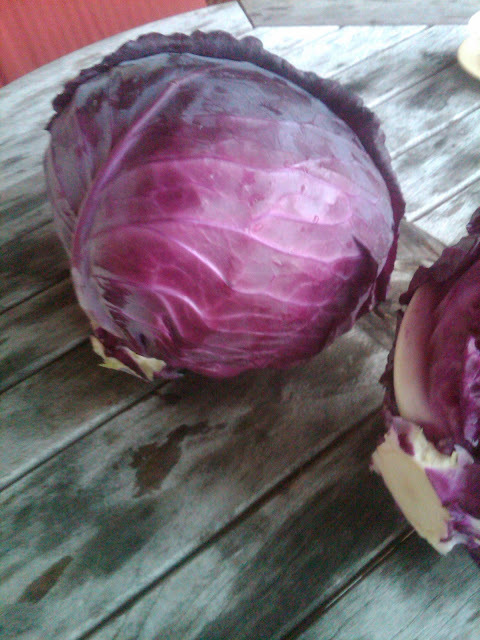 A perfect head of cabbage picked before the morning’s torrential downpours.